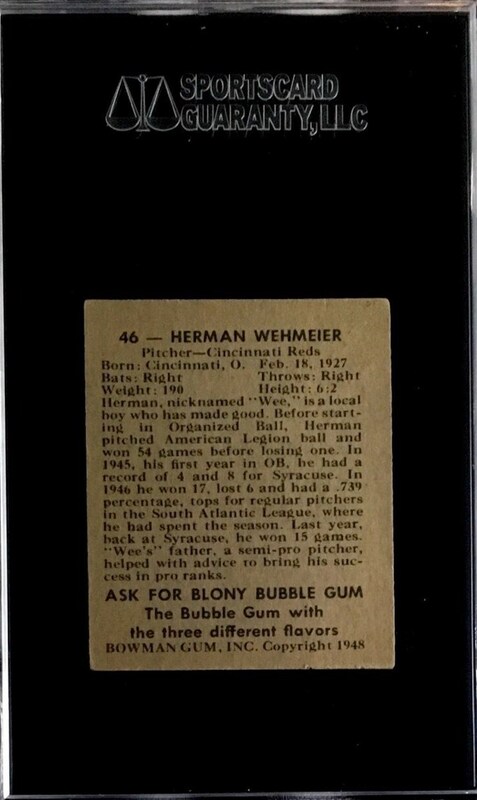 Up for your consideration is a 1948 Bowman #46 Herm Wehmeier card. A right handed pitcher Wehmeier played for five teams over a long playing career. 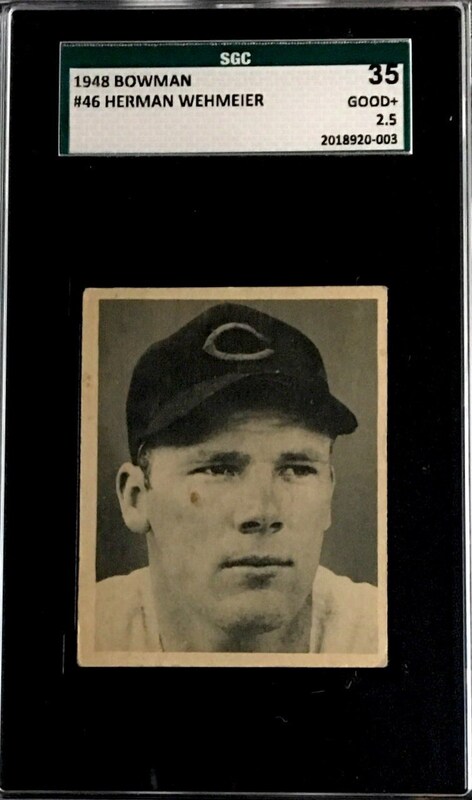 His longest tenure was with the Reds. The card has been graded a SGC 35.